Dice pound cake in 1/2-inch cubes and place in cups or mini casserole dishes. Spoon yogurt over pound cake and garnish with fresh berries, sliced limes or chocolate shavings. Stock up! With a stocked pantry, you can put together desserts faster than you'd think! Stock up on canned fruits, dried fruits, chocolate, and pudding. Stash a pound cake or pre-made cake in the freezer for unexpected dinner guests. 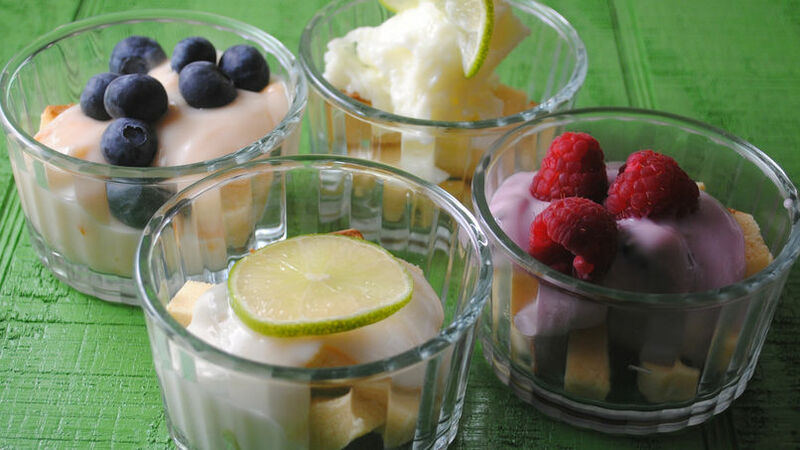 These mini fruit trifles are fancy enough for a tea party but easy enough to pull together for unexpected dinner guests.